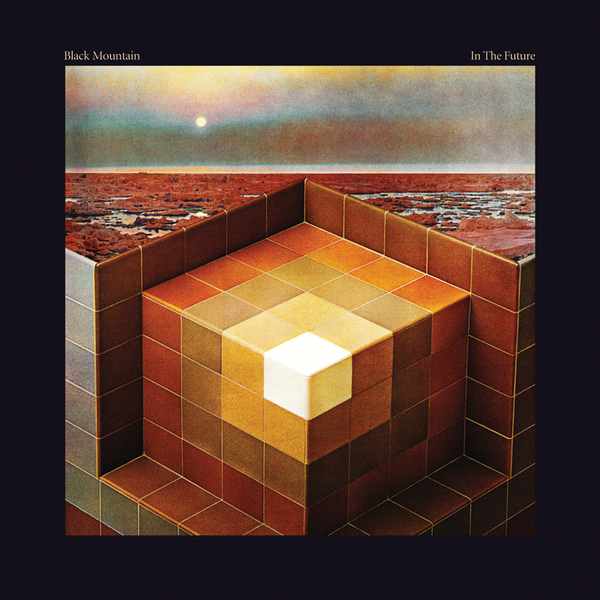 In The Future is the follow-up to Black Mountain's universally lauded eponymous debut album, which landed the band a peek at the bigtime thanks to some favourable End-Of-Year list appearances, a Coldplay tour support and even a slot on the Spiderman 3 soundtrack. This sophomore release finds the band's robust psych-rock sound in rude health: the magnitude of some of the riffing on In The Future is right up there with the best of Holy Mountain's recent crop of releases, but all that heaviness is offset by the band's uncanny knack for a tune and a penchant for seriously weird '70s prog wigouts. Some of the organ and synth work on this album is positively Wakeman-esque. In fact, the soloing on 'Wucan' and 'Queens Will Play' is delivered with the same un-ironic retro analogue feel as you'd hear from Zombi, which adds a dimension of authenticity and musicianship you're unlikely to hear from a modern psych band - particularly one who've toured with Coldplay. At the tail-end of the record 'Bright Lights' manages to fuse together all the band's greatest assets into a seventeen-minute epic, sounding somewhere between Black Sabbath and an outtake from Pink Floyd's Meddle. It's a powerful, deftly executed piece of rock music that sees the band playing to their strengths, not feeling a need to fit into any kind of commercial template. Highly recommended.